RICHMOND, B.C. 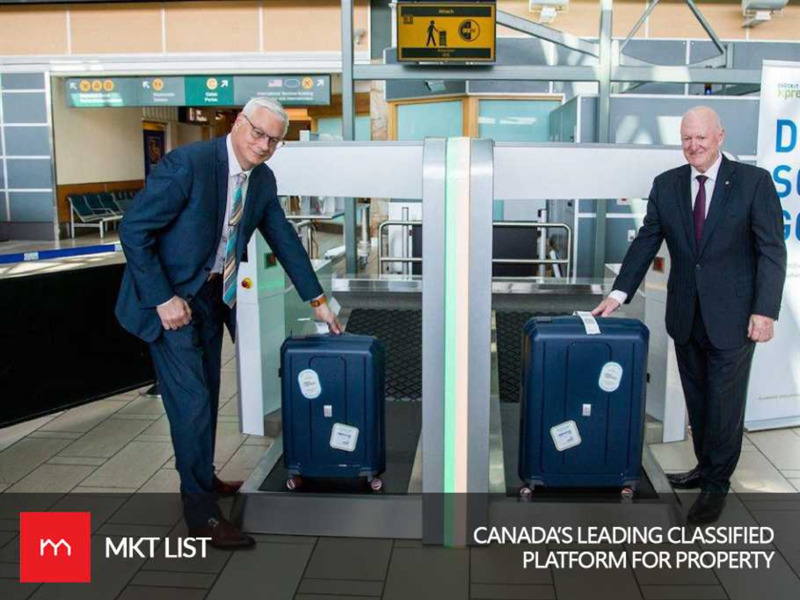 - Vancouver International Airport’s (YVR) Innovative Travel Solutions (ITS) and Glidepath, one of the world’s leaders in airport baggage handling, celebrated the installation of the first CHECKITXPRESS self-bag drop unit at YVR. CHECKITXPRESS is the world’s most accessible, efficient and intuitive self-service bag drop on the market, improving ease of use for travellers regardless of age, digital fluency, language or mobility. The collaboration between a Canadian airport and a New Zealand Baggage Handling Solutions company brought together two leaders in airport innovation. The reveal of CHECKITXPRESS at YVR comes at a time when the airport – recently named Best Airport in North America for the ninth consecutive year – is experiencing unprecedented growth. YVR anticipates it will serve 29 million passengers by 2020 by becoming a hub with a diverse global network. Innovative technologies such as CHECKITXPRESS will enable YVR to support this growth by improving the speed and ease of passenger and bag movement while delivering an outstanding customer experience. Through its innovative camera technology and superior first-time read-rates on baggage, CHECKITXPRESS has achieved some of the quickest customer processing times in the industry. In fact, CHECKITXPRESS boasts first-time read-rates of greater than 90 per cent and the average processing time is eight seconds with no agent intervention or assistance required. By expediting the bag-drop process, CHECKITXPRESS offers a cost-effective solution to reducing passenger wait times, while taking pressure off essential airport personnel. Αναρτήθηκε από geop στις 11:56 π.μ.